Brian Anderson has spent a whole lot of time in kitchens, and one recent afternoon was no different. Except, on this particular day, the one he was sitting in was a rough-hewn mock-up made of plywood, blue painter’s tape and hand-written signs designating where items such as “future braise #1” and “soup #3” would go. The model was meant to represent a soon-to-be-unveiled Modern Market location in Plano, Texas. Anderson, the company’s director of technology, was waiting for the executives, co-founders and business partners to arrive so they could check it out. Indeed, it was an example of Modern Market’s attention to detail and customer-focused strategy as it aims to refresh and reinvigorate dining—and make use of the latest technologies in doing so. The Colorado company was founded in 2009 by two guys who admittedly “knew nothing” about the restaurant business, according to Anderson; today, it encompasses 30 eateries in five states (and more to come) that feature fresh, simple, high-quality, made-from-scratch ingredients with no added sugars, preservatives or food coloring. 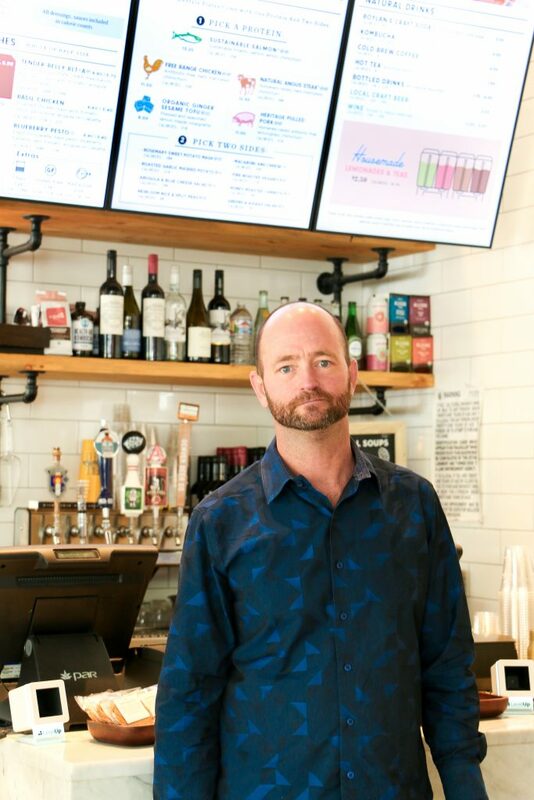 Anderson, who has spent most of his life in the restaurant business, joined in January 2017, and some of his most significant efforts have been around payment processing and tip allocation, to appeal not only to everyday customers, but also to travelers and students. The company has locations within the Denver International Airport and at the University of Norte Dame, in addition to its locations across the southwest and mid-Atlantic. For example, the company is broadening its ability to accept Near Field Communication (NFC) payments such as Apple Pay and Google Pay. 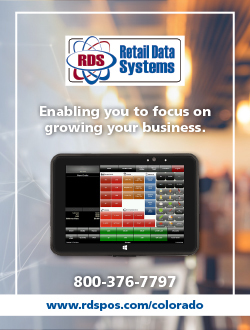 At the same time, a collaboration with Denver-based hardware and software point-of-sale company Retail Data Systems (RDS) Colorado is focused on increasing payment security. Modern Market is also exploring ways that guests can leave tips for employees, Anderson says, acknowledging that people today don’t always carry around cash for the good old-fashioned “tip jar,” and apps dedicated to tipping thus far have been challenging and buggy, often making diners leery. Meanwhile, the company is exploring tech solutions for the back of the house, as well. One option being rolled out uses sticky paper printing technology to streamline and improve order accuracy—particularly for “to-go” orders. A new website recently launched, as well, incorporating a tailored ordering system, Anderson says. The company will continue to enhance and customize its loyalty program and, fittingly, with its “transparent and traceable” purpose, is finding ways to go green with its packaging. 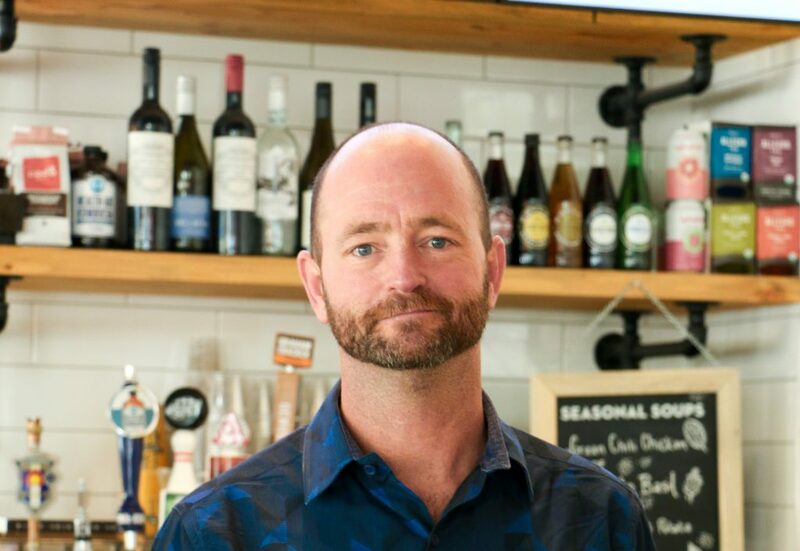 When Anderson says that the restaurant industry is “sort of in my DNA,” he really means it: His family owned dining establishments in southern Florida when he was growing up, and his earliest jobs were as food runner and bus boy. Almost everybody he knows was right there alongside him—“It was grandma, grandpa, aunt, uncles, dad, everybody,” he says. He continued to tend bar and wait tables throughout college as he studied fine arts, then went full time after college and eventually underwent management training. Still, he took to them quickly, “always playing around and tinkering,” and having regular access because his mother was a schoolteacher. That interest continued, and as he moved around the restaurant scene, he became the go-to guy when the printer at the bar was on the fritz or the inventory software was acting up. He joined Modern Market in 2017 after meeting its enthusiastic founders Anthony Pigliacampo and Rob McColgan. He was instantly intrigued by the company’s purpose—one he was well familiar with.